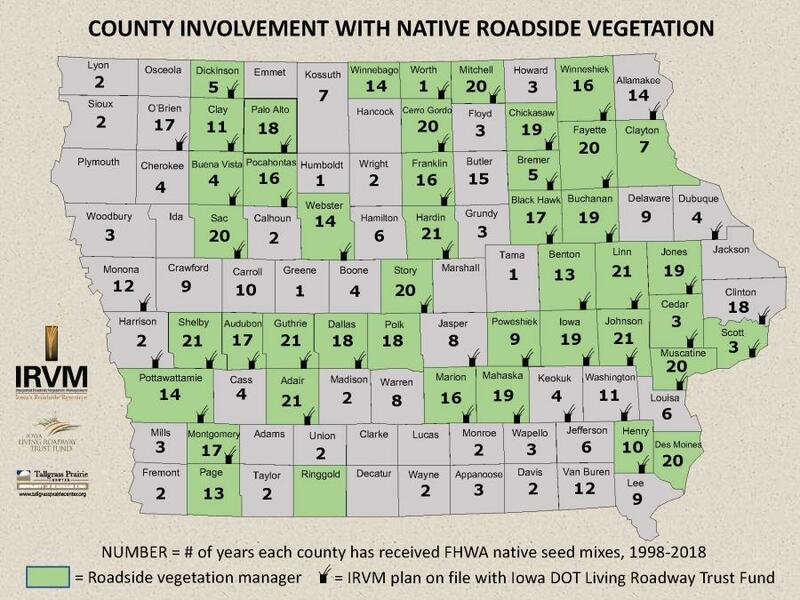 Since 1998, the IRVM Program at UNI has received funds from the Iowa DOT’s Transportation Alternatives Program (TAP) to purchase native seed for county road rights-of-way. Using this funding, the IRVM Program Office coordinates the bulk purchase of locally grown native seed, creating diverse seed mixes appropriate for use in all roadside conditions. Counties with IRVM programs then submit requests to the IRVM Program Office for this seed. Each year, approximately 1000 acres-worth of seed is distributed to counties. Images and information can be found at the National Transportation Alternatives Clearinghouse.